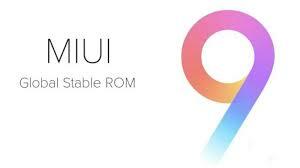 Xiaomi has announced MIUI 9 Global Stable ROM is now available for all compatible handsets. Xiaomi VP and India MD Manu Kumar Jain made the announcement via Twitter saying the MIUI 9 is now available for all smartphones in India. Jain, in his tweet, noted that the Xiaomi is updating even some of its oldest smartphones in its portfolio, including the four-year-old Redmi 1S and Mi 3. Jain points users to an MIUI forum link, where eligible handsets and their Fastboot, Recovery ROMs are listed. These include the Redmi 2, Redmi 2 Prime, Redmi 4A, Redmi Note Prime, Mi 4i, Redmi 3S, Redmi 3S Prime, Redmi Note 4G, Redmi 1S, Redmi Note 3, Mi 3, Mi 4, Mi Max, Mi Max Prime, Redmi Y1, Redmi Y1 Lite, Redmi 4, Mi 5, Mi MIX 2, Mi Max 2, Redmi Note 4. Notably, the update had already been rolled out to some of the mentioned smartphones. To recall, Xiaomi had announced the MIUI 9 Global ROM rollout in India back in November last year, after unveiling it in July. MIUI 9 includes a bunch of new features and improvements including faster app load times, new design elements, shortcuts on lock screen, split screen feature, smart functionality and more. Some of the other highlights of MIUI 9 include Smart Assistant which can be accessed by swiping up from the home screen, a smart app launcher that suggests apps to launch based on the screen. And finally, its image search feature which can distinguish between photos based on the keywords you enter. As for how to upgrade, Stable ROM users of MIUI will receive an MIUI 9 update notification on their phone when the OTA update is ready for their handsets. 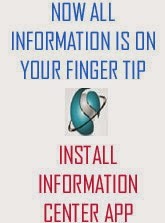 Users can also refer to the Updater app to check for updates. Alternatively, they can go to Settings > About phone > System update, to manually look for an update. Meanwhile, as we mentioned, Xiaomi has provided the download links and full changelog for all the smartphones, in the MIUI Forum. It is advisable that users should back up their data before making the upgrade.